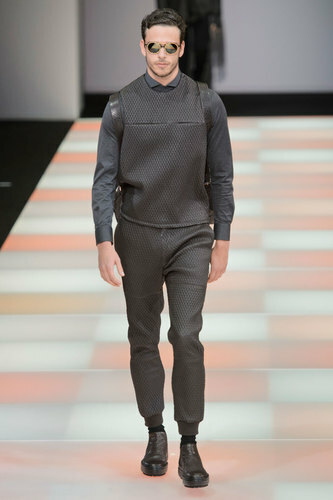 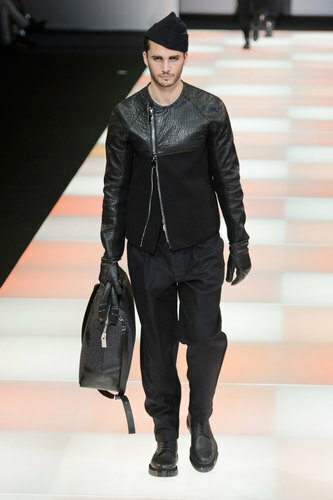 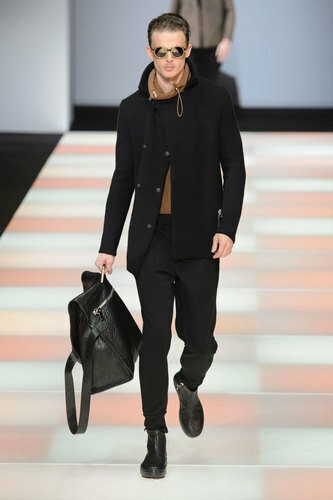 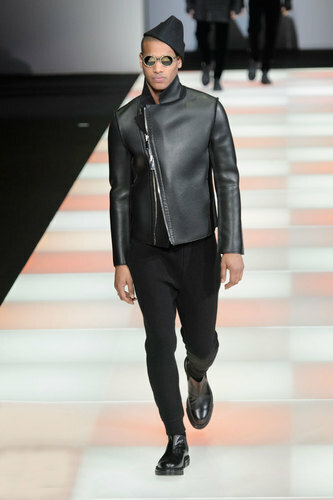 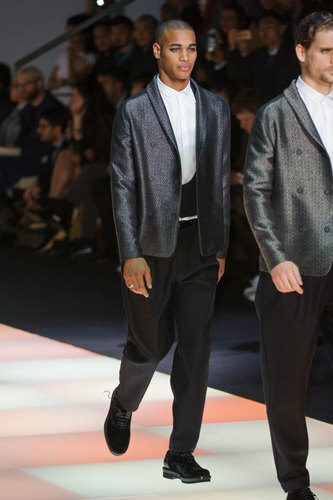 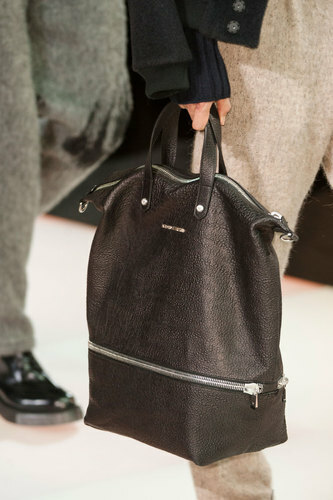 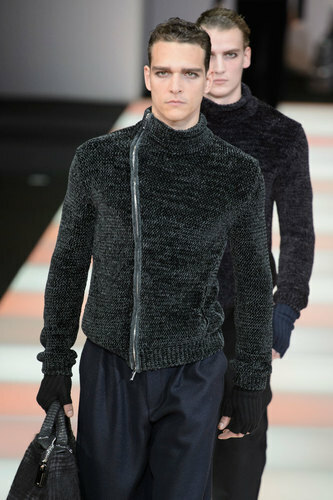 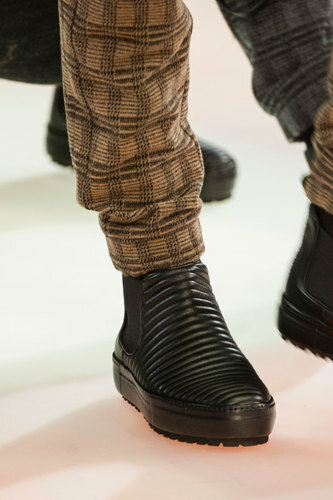 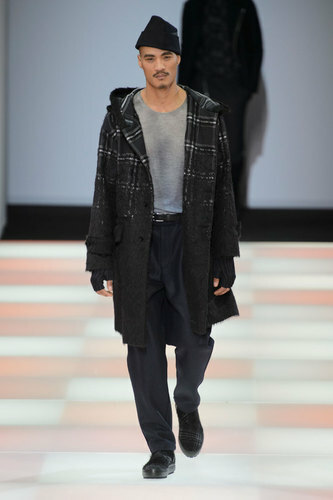 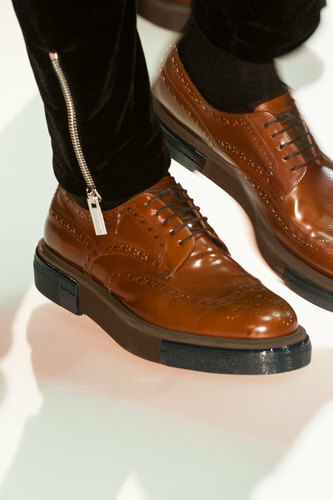 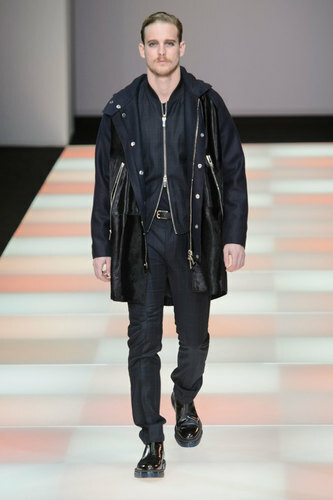 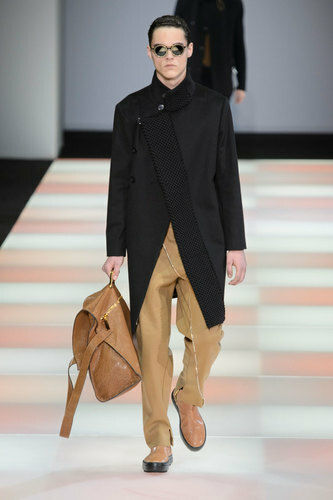 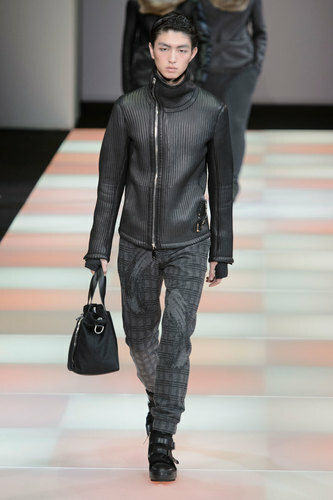 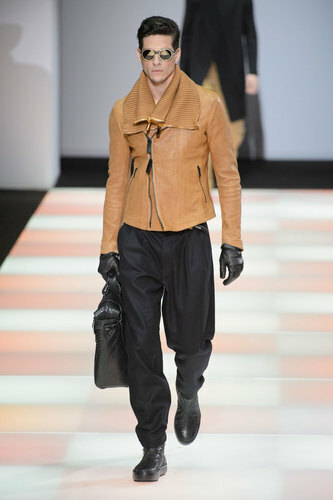 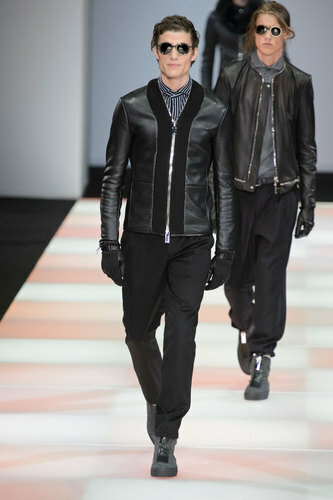 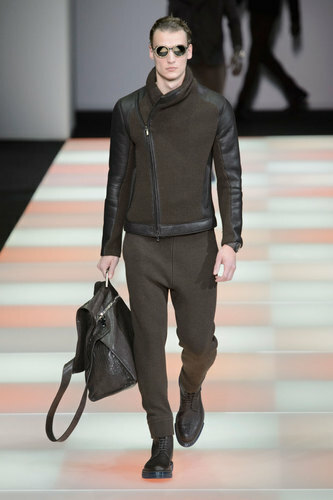 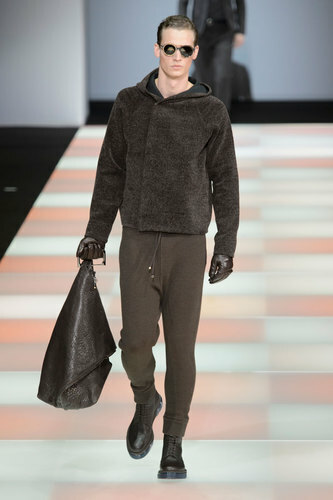 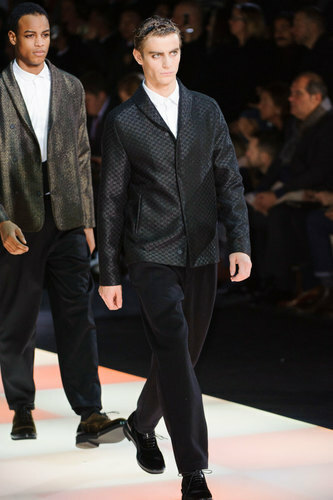 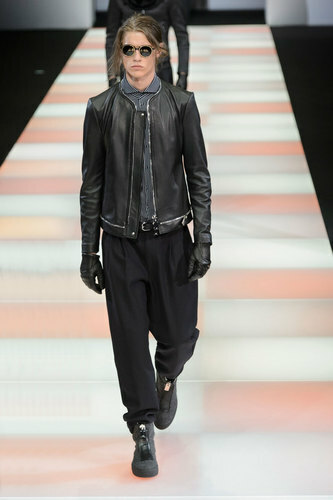 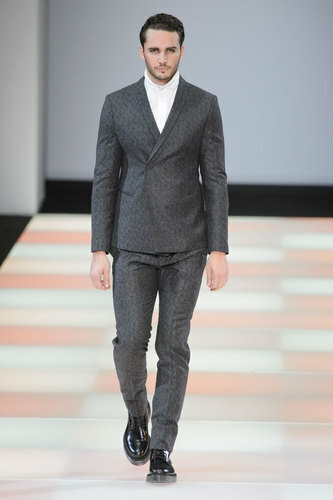 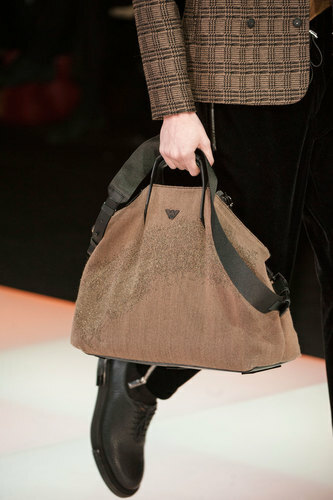 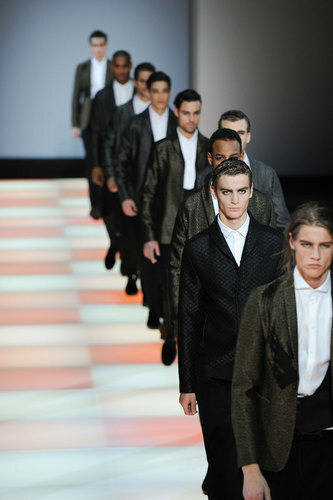 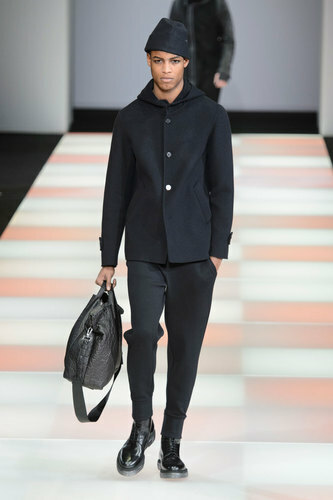 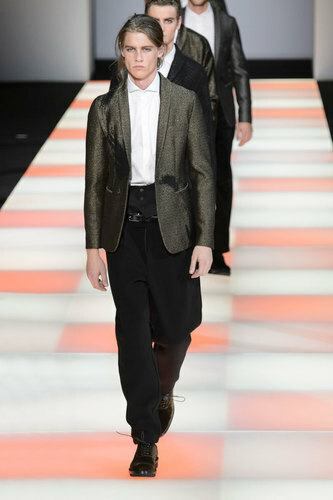 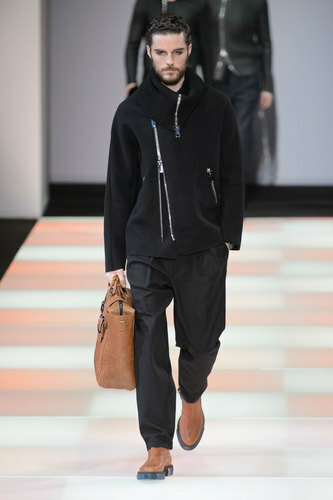 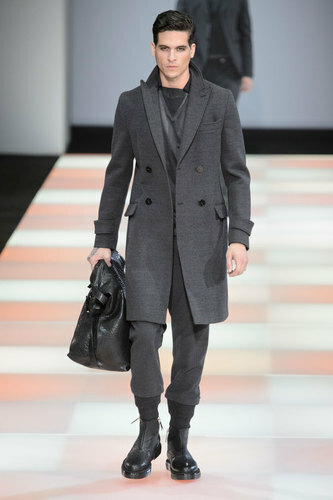 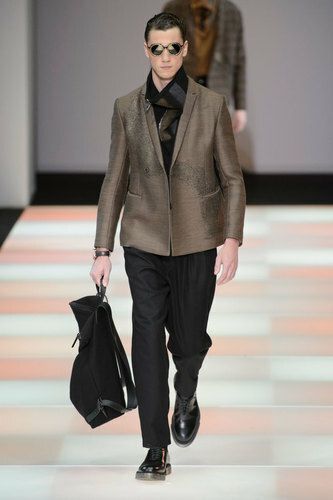 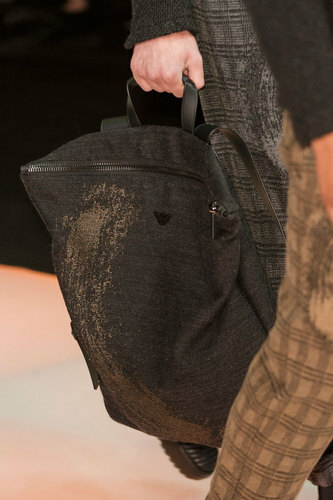 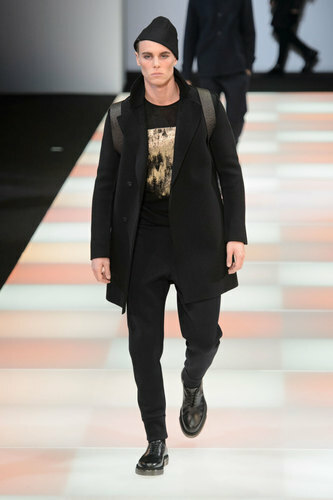 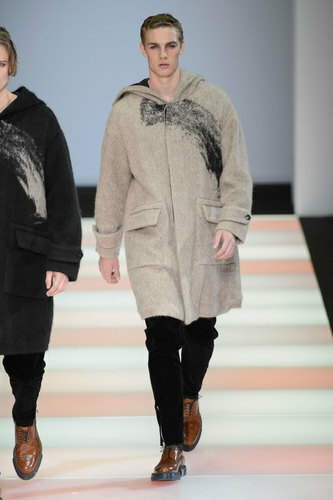 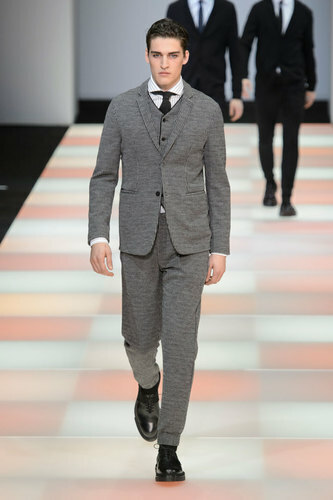 Emporio Armani Man Autumn-Winter 2015-16 – Emporio Armani is always synonym of chic elegant young and modern style. 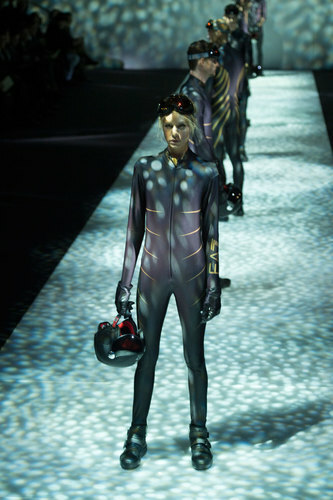 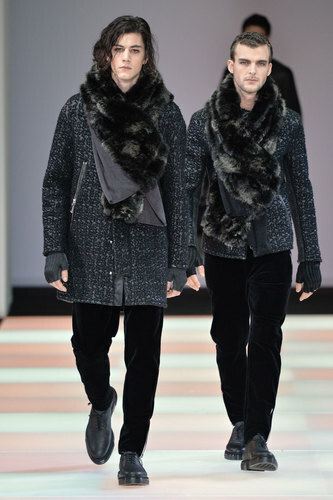 The Italian designer opens the runaway with two models wearing the same outfits indifferent shades walking side by side. 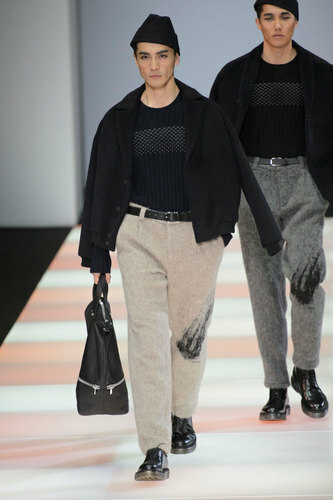 The minimalistic and monochromatic garments are detailed with a random brush stroke that characterize most of the outfits. 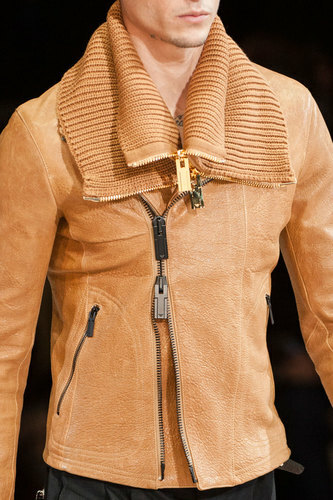 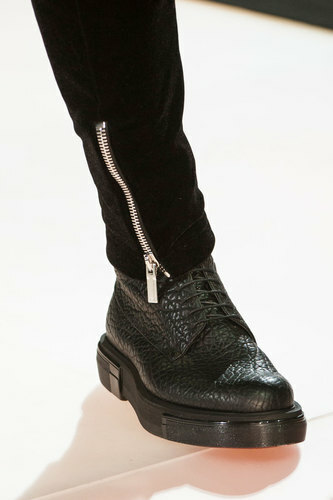 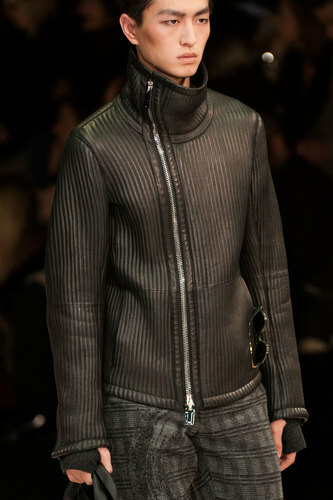 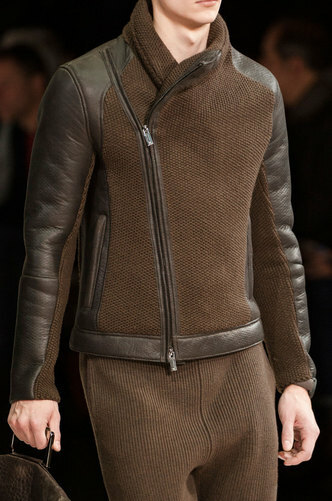 Asymmetric or side zips identify the tops pieces of this collection: fleeces, leather jackets, short cardigans. 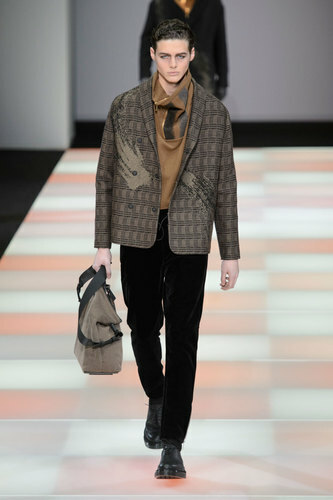 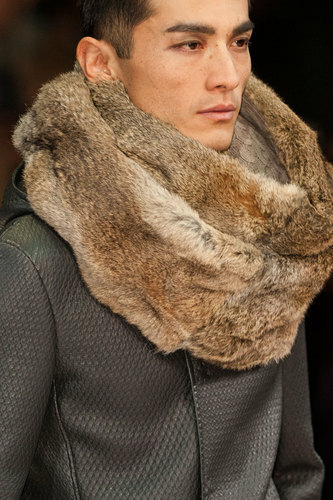 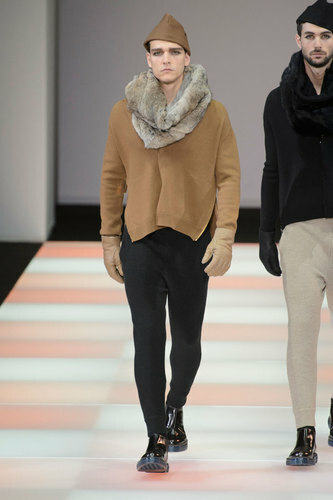 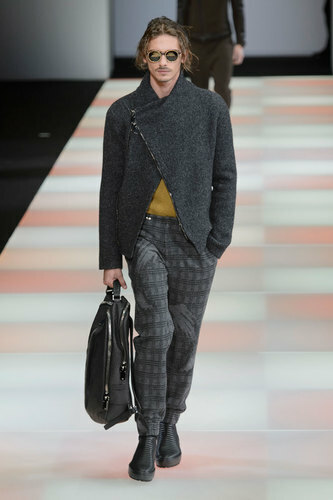 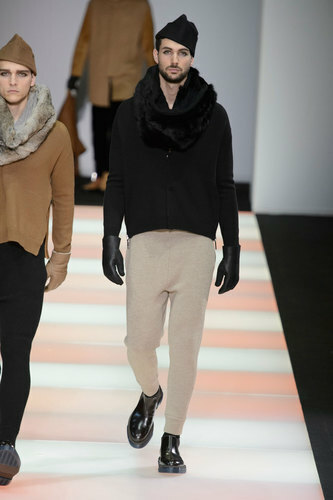 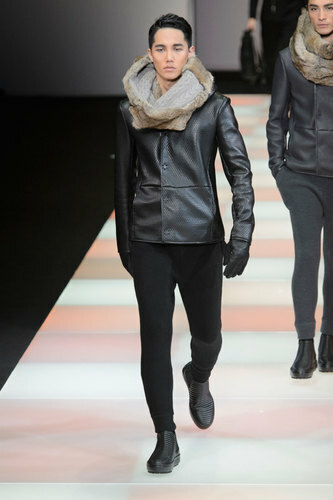 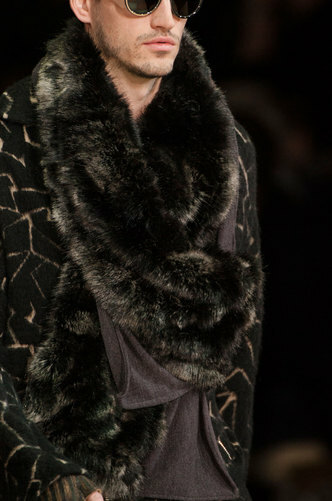 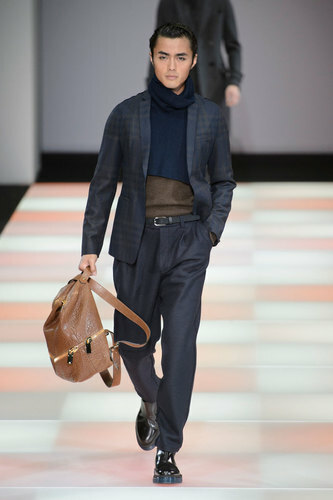 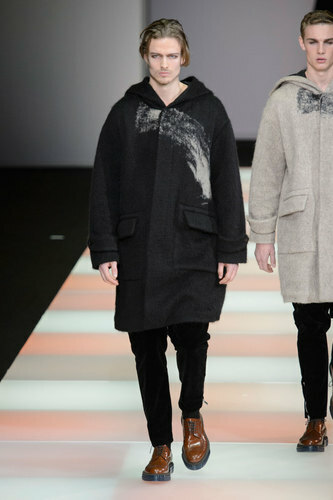 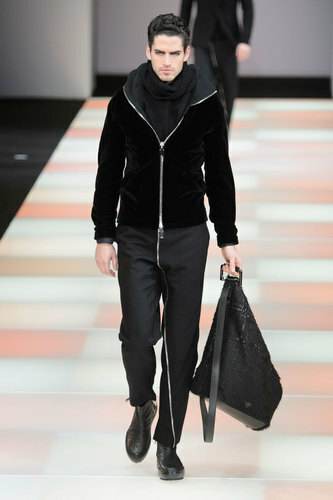 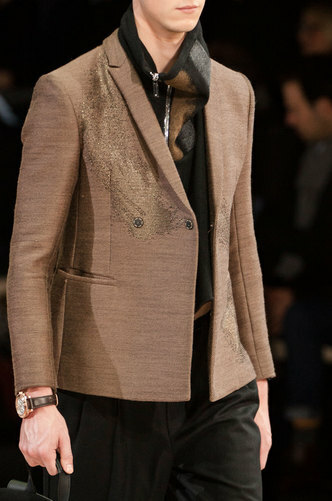 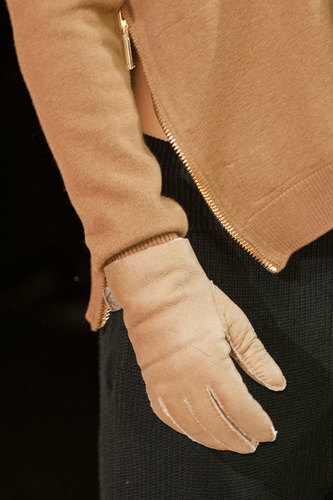 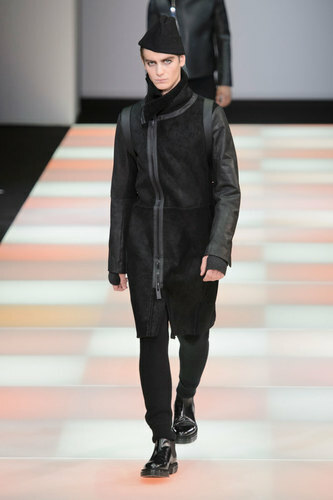 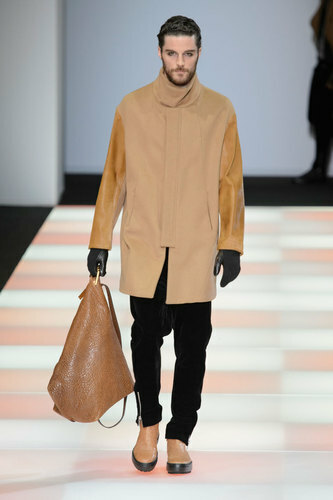 Maxi wool scarfs or fur collars wrap and protect the Armani man from the cold winter. 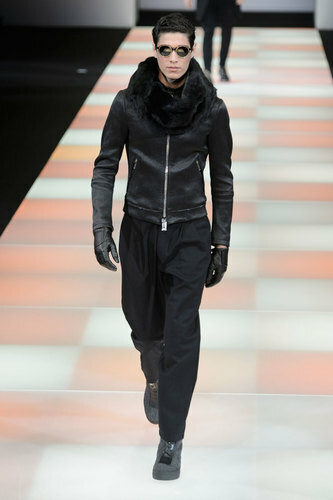 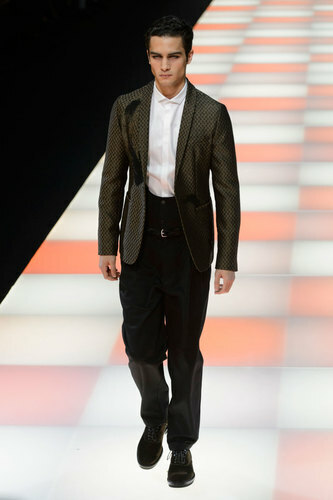 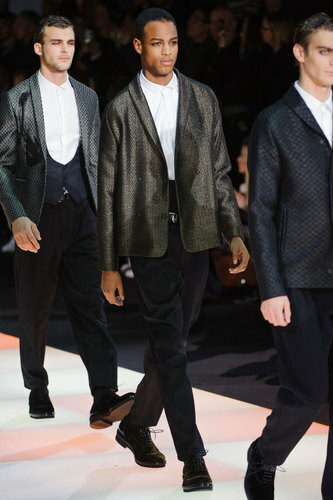 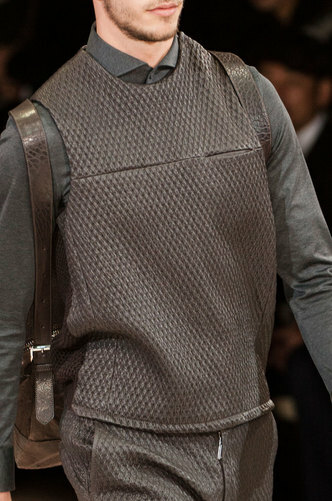 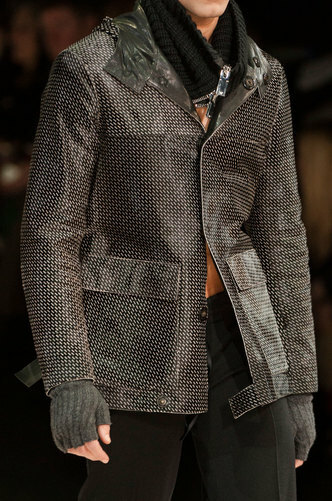 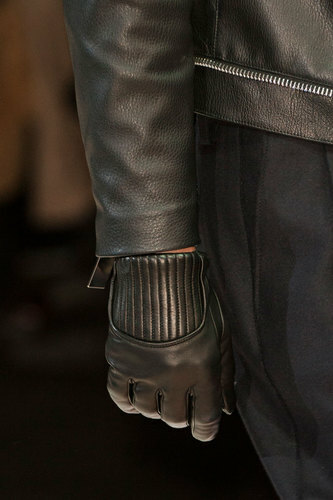 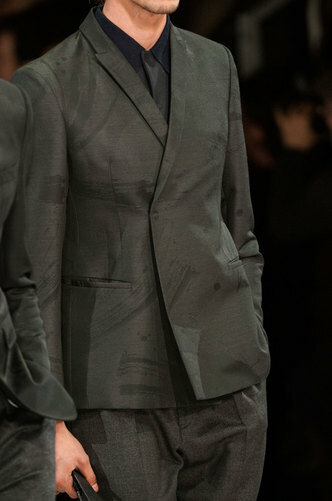 Mr Armani decides to use dark tones to give this wardrobe a masculine and proud feeling. 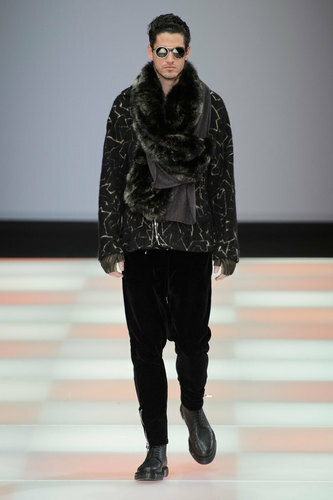 The king of deconstructed presents a particular design of the hat: a combination of a fitted bell shape and beany hat which create an unusual form. 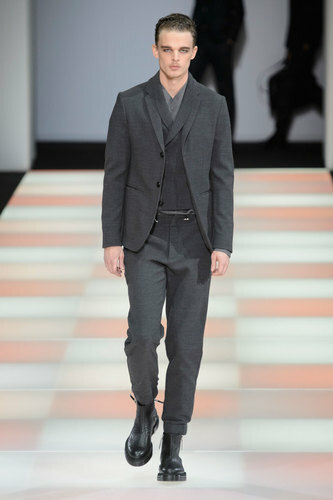 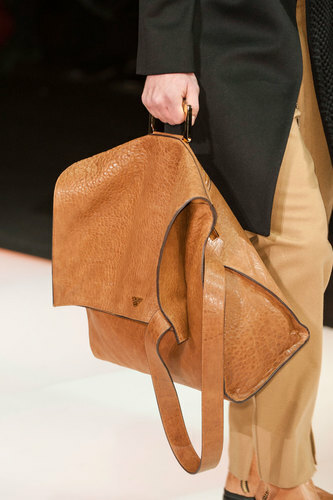 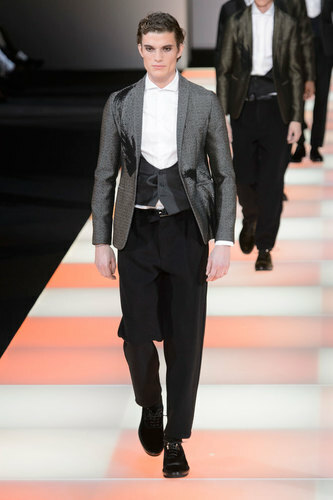 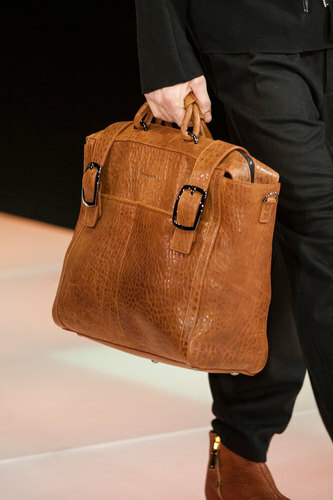 The collection is closed by refined and sophisticated suits completed by waistcoats and low necked vests.